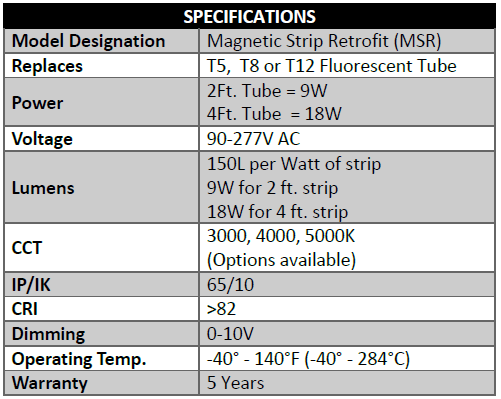 LED Lites USA’s LED Magnetic Strip Retrofits (MSR) that features sliding adjustable magnets on each strip make an easy and fast retrofit to LED lighting in any luminaire, such as troffers, strips, indirect and case lighting. 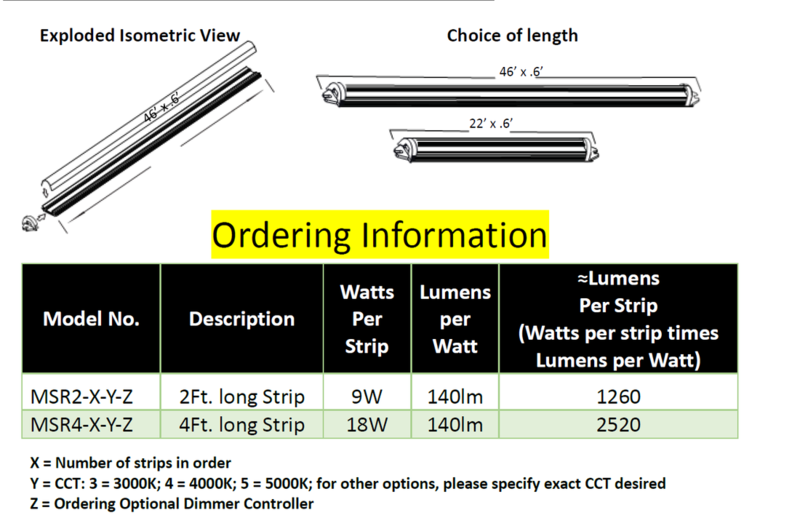 With either clear or diffuse shatterproof, full plastic covers, and dimmable 2, 3, or 4-plug magnetic-backed LED drivers, these strips from LED Lites USA are the simplest and most cost-effective method for switching from older power-intensive, high-maintenance lighting to state-ofthe- art LEDs that dramatically lower power and maintenance costs. Rebatesfor installing LED lighting are available. Custom fixtures for your particular application are our specialty.